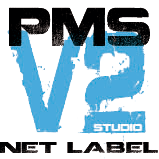 If you purchase Products, you agree to do so in accordance with PMS Studio Bill of Rights below. Title to Products that you buy will pass to you upon delivery of the Products to the common carrier. Please include the order number of the item that you would like to cancel. If you’ve already completed an order and wish to add a new item to that order, you’ll need to cancel that order and place a new order. Please note that if your order has already been processed, you may not be able to cancel it or modify it.